Voicemeeter Banana is really a gift from heaven! If you have ever wanted to get that cool radio voice with bass you can get it easily with this program. And no it’s not going to cost you hundreds of dollars. It’s a totally free software to use! What can you do with Voicemeeter Banana? You may also have some problems with really good mic:s like i do with the Blue Yeti that it picks up literally everything. Well it’s a good mic so it should pick up everything. The problem with really good mics usually comes when there is sounds like: Keystrokes with mechanical keyboards, Computer fan being a bit loud or people chatting on the background. If you are a streamer (what you most likely are since you are checking out my blog 😉 ) you most likely have already setup noise gates with OBS Studio. To rule out some of the sounds coming from the background. But a new problem arises from the ashes.. Witch is that your setup with OBS Studio don’t affect your voice programs like TS or Discord. So all those noise gates needs to be setup for every program. 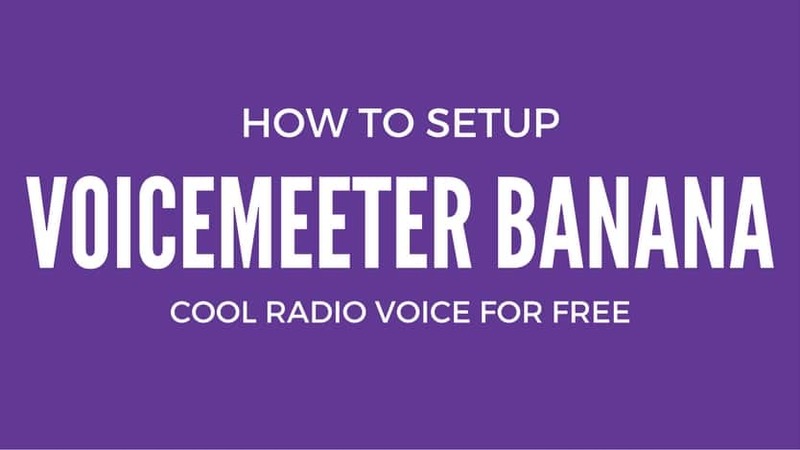 This is just a hassle that can be avoided by setting up Voicemeeter Banana. Everything you setup there works globally! From OBS to TS, Discord, Skype, Ingame etc. Credits and +1 rep: For JESSEverything for creating this good how to tutorial. The video is really well made, short and sweet!